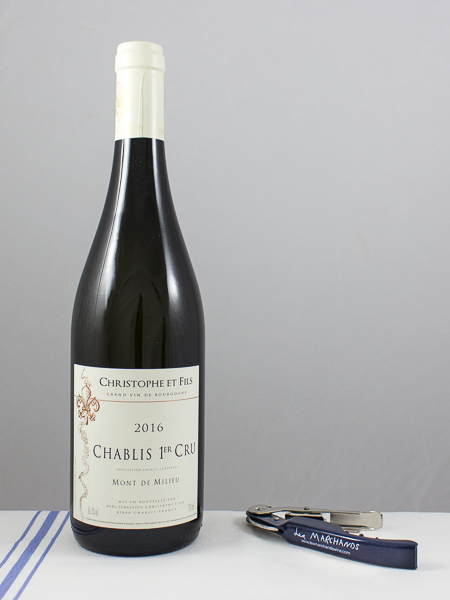 Twelve hectares of vines, a decade plus of hard work, low yields, and word of mouth…that is how this Chablis convoy now lands within your grasp. Sebastien applied attention to detail and determination to revamp vines that were originally inherited by his grandfather. He ferments and ages his wines in stainless steel, adding a touch of neutral wood before bottling the premier cru wines. His quartet vision for the resulting wines is elegance, length, purity, and minerality. Mont de Milieu is relatively unknown and sits on the right bank of the River Serein, producing discreet wines with irresistible fragrance and gorgeous texture. This doesn't have the immediate power of Montée de Tonnerre but it makes up for that with a zing on the mouthfeel. The soil here is much deeper than you will find with most of the premier crus across the river on the left bank (Vaillons, Montmains, Foret and Butteaux) but not deeper than the profound soils of Montée de Tonnerre or the even deeper soils of the Grand Crus. The vineyard marks a previous border between the Burgundy and Champagne dukedoms, giving the vineyard its name (which translates roughly as "middle hill").